The new Spring/Summer collection brings more than 40 seasonal fabrics from the Italian suppliers Successori Reda, Angelico, Lanificio di Pray and Solbiati. In addition to woolen fabrics for jackets and suits, the collection will also include typical summer compositions such as wool/linen, wool/silk, linen/cotton for jackets and trousers. Moreover, this collection contains the popular summer mohair fabrics, which now contain 10% silk. 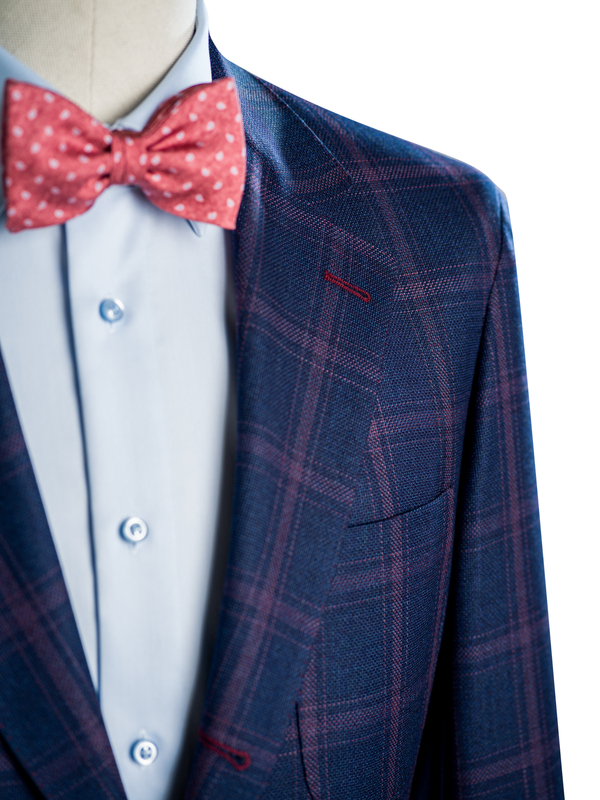 Pure cotton fabrics are represented by refined herringbones or seersucker fabrics. The photo-collection includes different styles presented on a mannequin. All photos can be seen in our printed Lookbook, which is distributed with our new seasonal collection, or online here. As usual, all pictures are available for use for your own marketing materials. We also present the unique opportunity to have our Lookbook individualised to your business, by customising the cover with your logo.